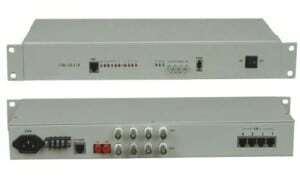 AN-DV64000 series VoF unit can transmit 64 lines bidirectional digital video broadcasting, 1-2 line bidirectional high-fidelity audio, 1-4 line bidirectional asynchronous date,1 line 10/100M adapt Ethernet date to one fiber efficiently. 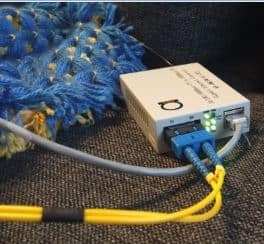 Three installation types: wall method, rack in 19inches 1U, or plug in-card. IEEE 802.3x full duplex and Back-Pressure half duplex flow control. AN-DV64000 series supports any high resolution dynamic or stationary picture high-fidelity transmit. It also can be anti-disturbance against several signals, environment, and work stably. It is widely used in security monitoring and control, high way, electronical policy management, automation control, intelligent residential districts and so on. Security monitoring and control system. AN-DV64000 series supports any high resolution dynamic or stationary picture high-fidelity transmit.